Hey there crafty friends! 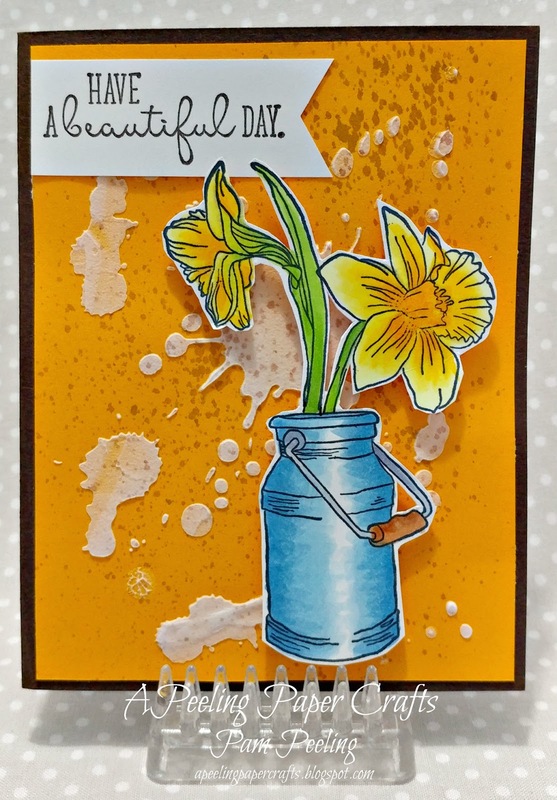 Today I made a card for the Club Scrap Technique challenge- Splatter. I used the Club Scrap Daffodils collection to make my card. I colored the unmounted rubber stamped images with Copic Markers. I fussy cut the image and attached with some dimensional foam dots to pop it up a bit. The sentiment is also from the Daffodil unmounted rubber stamps. For the splatter technique I spread modeling paste over the above stencil. 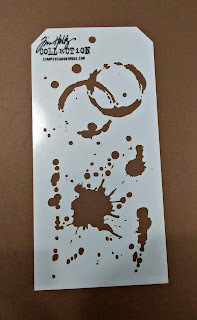 Then I spritzed on some brown stamp ink from a mister bottle. Head on over the the Club Scrap Blog and link your own splatter technique project!